Although it's been open a year and a half already, I never did a full review of The Oinkster. Time to remedy that situation, since where else am I going to take my motley crew for dinner that won't cause complaining or cost an arm and a leg? A hearty burger for the meat-eating teen? Check. Flavorful pastrami and special "house" orange/lemonade for the grown-up Mr. Meat? Check. Roast chicken and fries for Miss Picky, who doesn't eat burgers or much of anything else? Check. Good beer and fries with aioli for yours truly? Check. 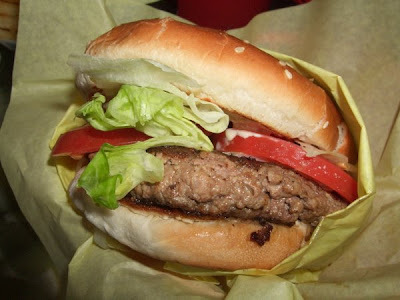 The burger was tasty with a top quality tomato, but needed salt to bring out its flavor. Matt liked the pastrami, but it's very smoky indeed, like their pulled pork, and quite lean. Definitely a more refined pastrami than at most places. The combination of Red Hook Long Hammer IPA with fries and aioli totally rocked, although my doctor says once a year at most. The rather dried-out chicken was no Zankou, but the purple cole slaw with it was clean and crunchy tasting. We were too stuffed to try the ube milkshake or peanut butter and jelly cupcakes, but they looked good. The verdict: Some items are executed better than others at the Oinkster, and the pastrami and pulled pork are for smoke lovers only. But the combination of good beer, quality meats, nicely-cooked fries with garlic mayo and killer desserts make this a great choice for a casual bite. 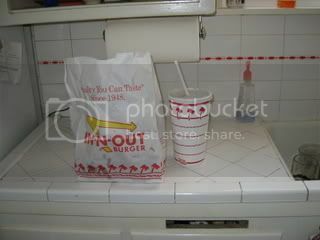 I love me some Oinkster...the only thing I don't like is the outside bathroom situation. Last time I was there it was raining like all get out so running outside to wash my hands was a bit of a pain. their veggie burger is good, and i've heard that their shakes are amazing. ditto about the fries. as another aside, my other favourite place for this kind of slow-fast food is Wolfe Burger in Pasadena.